I find the Edge world fascinating, and George and Jack, who play quite a large part in this book, pretty much stole the show whenever they appeared. As for the Kaldar/Audrey relationship, I liked them well enough and thought they suited each other. However, I never really got into this book - it may be that the writing just failed to capture my imagination completely. 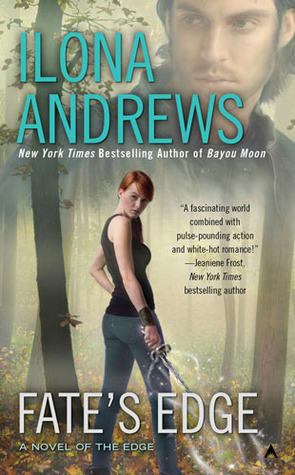 A good read, but not one of my favourite Ilona Andrews. Sign into Goodreads to see if any of your friends have read Fate's Edge.